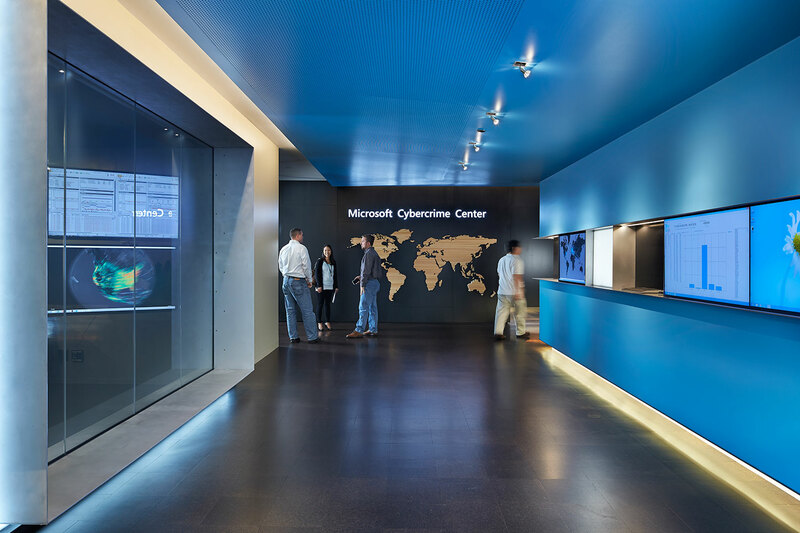 The Microsoft Cybercrime Center is designed to battle malware, botnets, and other internet crime. 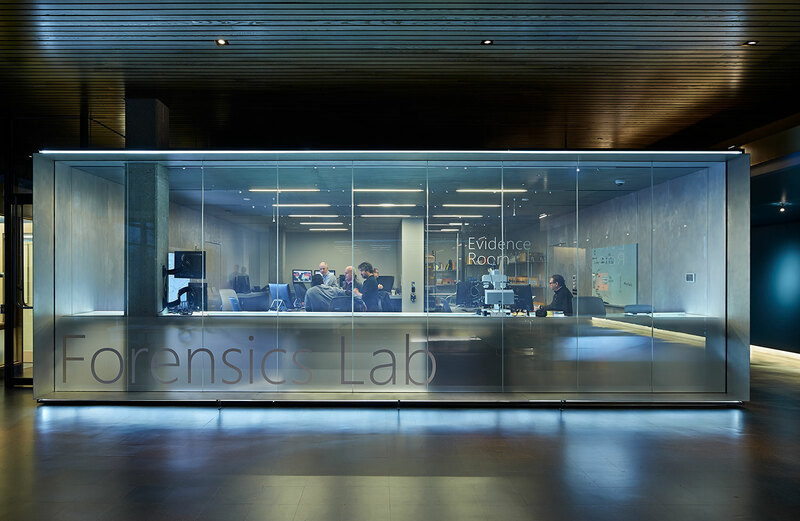 This futuristic project consisted of converting an existing office space into a showcase space to highlight this team’s work fighting organized cyber crime around the world. 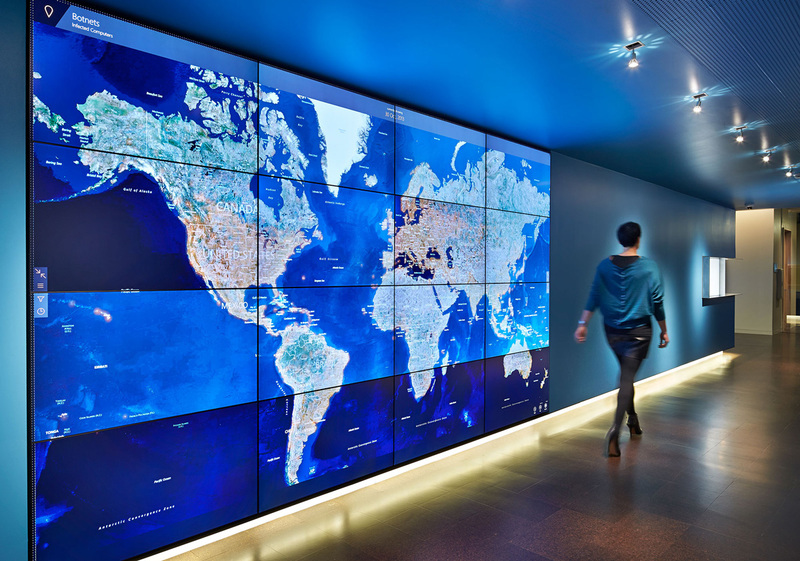 It includes static and audio video systems, an 8 x 14 ft video wall, touch monitors and projection systems. 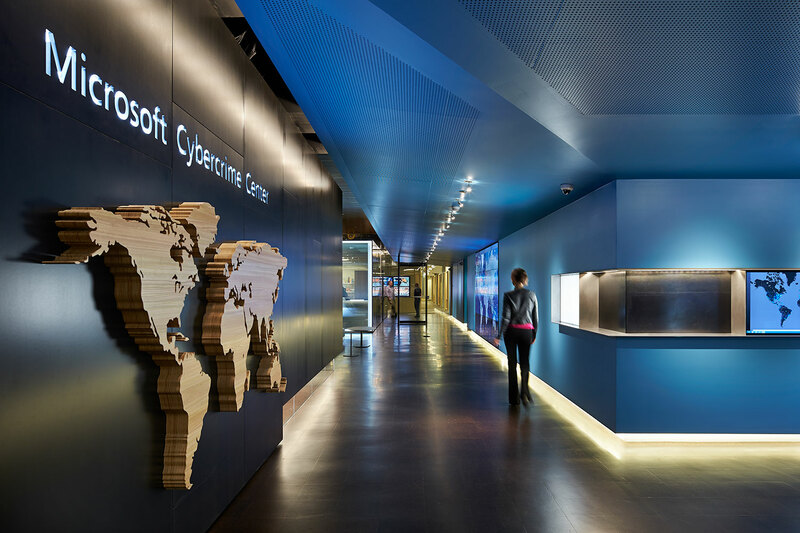 Static and interactive displays line the walls. 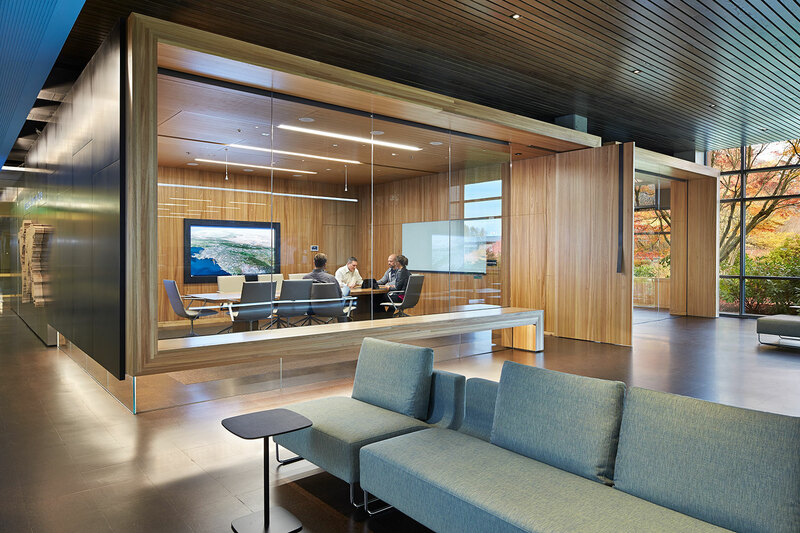 The space consists of open spaces with two self-standing rooms that house labs and conference rooms. The walls are clad in wood and metal wall panels with glazed openings. Two of the glazed openings have switchable glass for privacy. 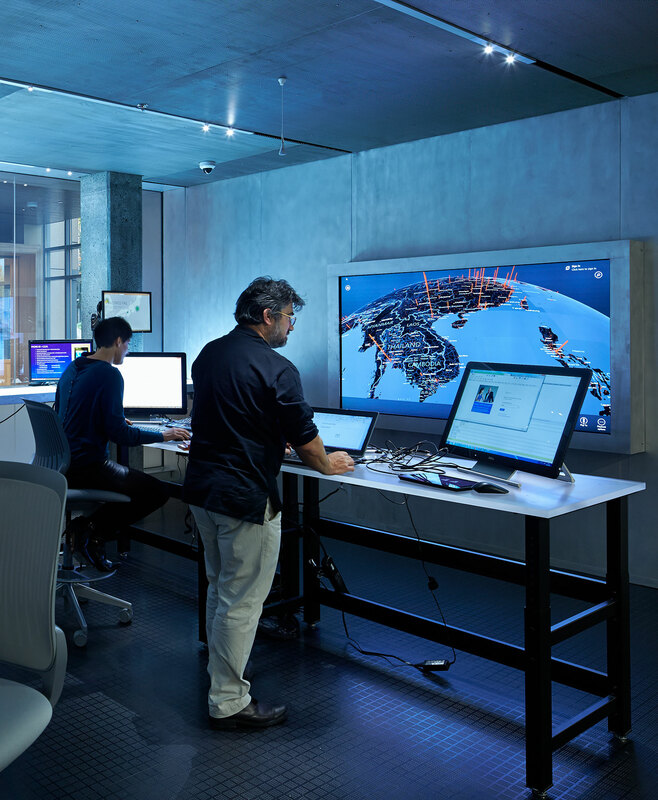 The heart of the space is built and used as a functional work space for the occupant teams to more effectively collaborate with their colleagues around the world.